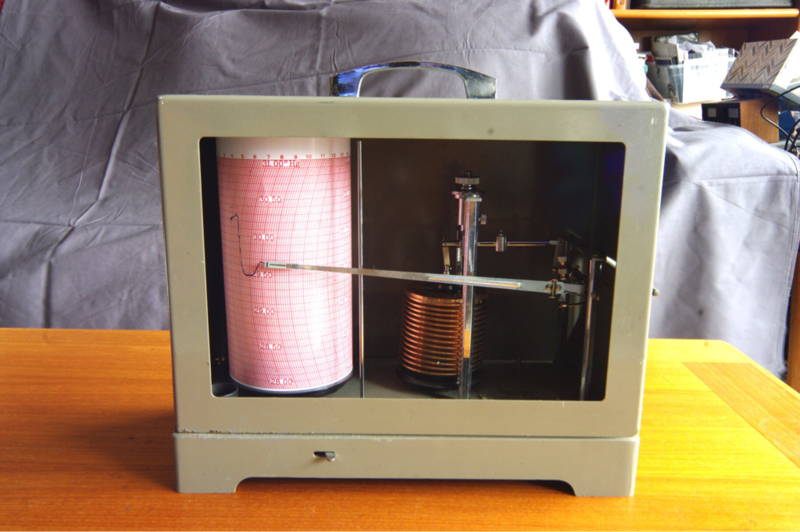 This particular Weather Measure B211 microbarograph has a Weather Measure battery powered clock drive that is switch selectable for 1 day, 7 day, or 31 day rotation. I use the 31 day setting. I use Novalynx 70105 charts for 31 days in inHg. Also uses Novalynx 70102 charts for 7 days in inHg or 70101 charts for 7 days in mb. On the left is the 1974 catalog page for the Weather Measure B211 Microbarograph. Go to Weather Measure catalog page.